I know there are plenty of free desktop email clients The 5 Best Free Desktop Email Clients The 5 Best Free Desktop Email Clients You need a free desktop email client to handle your incoming mail? 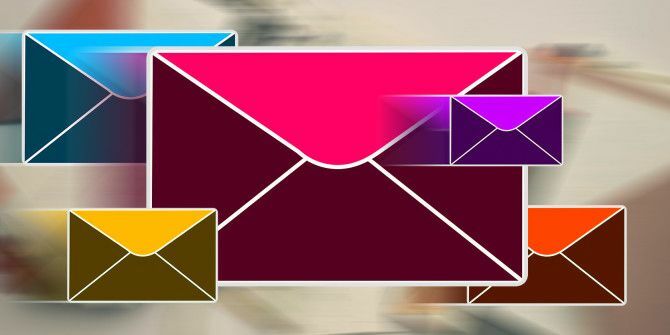 Here are the best desktop email clients you can use without cost. Read More that are more than good enough, but even after all of these years I still prefer to use Postbox. It’s modern, fast, and full of advanced features (as covered in our Postbox review Postbox 3: Top Quality Email Client for Windows and Mac [Giveaway] Postbox 3: Top Quality Email Client for Windows and Mac [Giveaway] We’ve done Postbox 3 giveaways in the past, but here we go with another one because it’s that good. Postbox 3 is available for $9.95 for Windows XP, Vista, 7 as well as Mac OS... Read More ). Postbox has a feature called Junk Mail Filtering, which learns over time how to distinguish between Junk and Not Junk emails. However, you may find that certain email addresses are being marked as spam even when they aren’t. That’s when a whitelist comes in handy. Go to Tools > Message Filters. Under “Filters for”, select your email account. Give the filter a name, such as “Whitelisted Accounts”. Change it to “Match any of the following”. Add a From filter with an is match and type in the email address you want to whitelist. Add a Set Junk status to action for Not Junk. Add a Move Message to action for your inbox. Now all emails from these addresses will automatically be set as Not Junk and appear in your inbox. To expand your whitelist, just add more email addresses to the filter. Know of a better way to whitelist email addresses in Postbox? Let us know in the comments! Explore more about: Email Tips, Postbox, Whitelist.